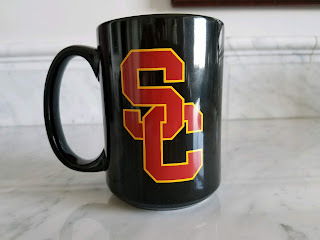 Use the link below to have new posts to this blog emailed to you. For Monthly Burger Run #2 we chose the In-N-Out Burger in Vista, California. Good turn out considering the weather forecast for more rain. We had five Corvettes (and a Porsche pretending to be a Corvette)! Four of the seven Corvette Generations were represented. The burgers and fries were great, and once again we were able to reserve a section of the restaurant for our group. Special thanks to the In-N-Out folks for their hospitality! From left to right: Don Kingery, Bill Connelly, Warren Wilkinson, Russ Stroika. Marilyn and Bill Hatch, Sherri and Jeff Smith, Nan and Cary. In attendance, but taking the photo was Bob Rabourne. Next month we will be going to the IN-N-Out Burger in Oceanside! We are starting our retirement right by making sure that we actually drive our Corvettes frequently! One of the ways we will accomplish that goal, and to visit with good friends, it to make it a point to meet once per month at a predesignated burger joint. 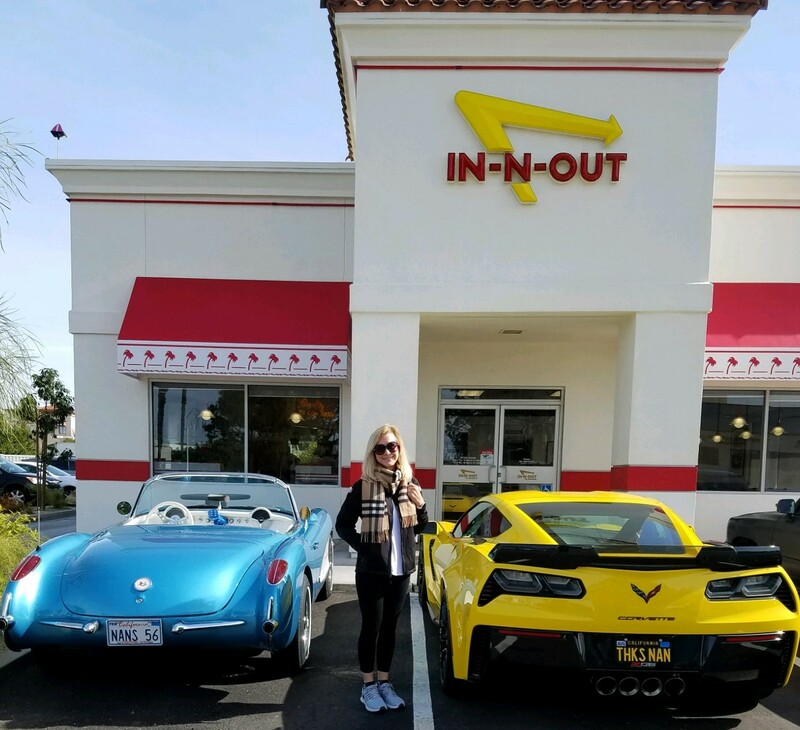 The inaugural edition of this hoped for tradition occurred today at the Carlsbad In-N-Out restaurant! We arrived shortly before 11:00 AM to beat the noon rush! Before long we were joined by friends and neighbors. We got all the prime parking spaces out front! And on the side entrance. We monopolized one area of the restaurant so everyone could easily visit. We were also joined by Archie Rempher and Warren Wilkinson. Thanks to everyone who was able to make it today! Where should we go next month? 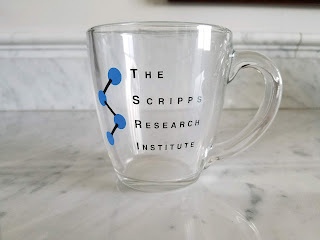 Tomorrow, February 1, 2019 will be my final day as the Chief Information Officer at Scripps Research. I've enjoyed a charmed career, filled with great jobs at amazing institutions, surrounded by intelligent and interesting people. It has been 49 years and 10 days since I graduated from the University of Maryland. How lucky can a person be? 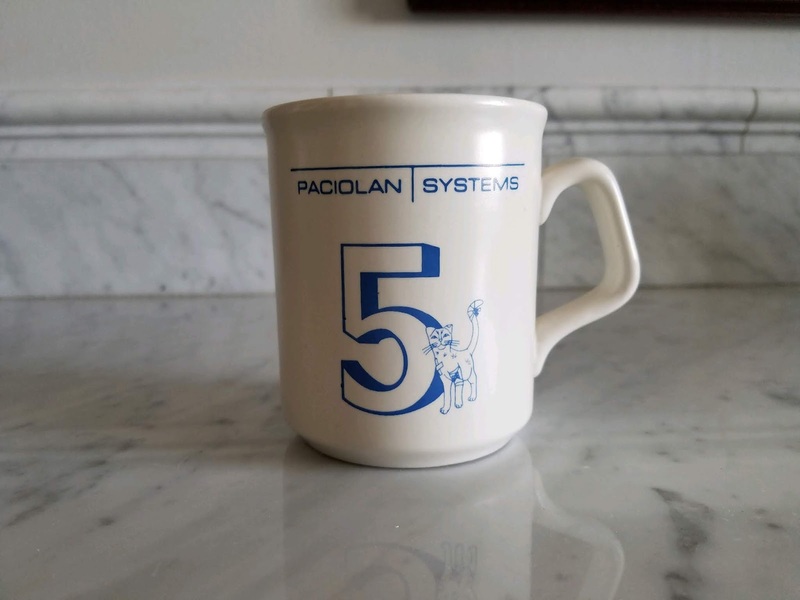 Here is the history told with coffee mugs and (of course) Corvettes! 1970 to 1976. 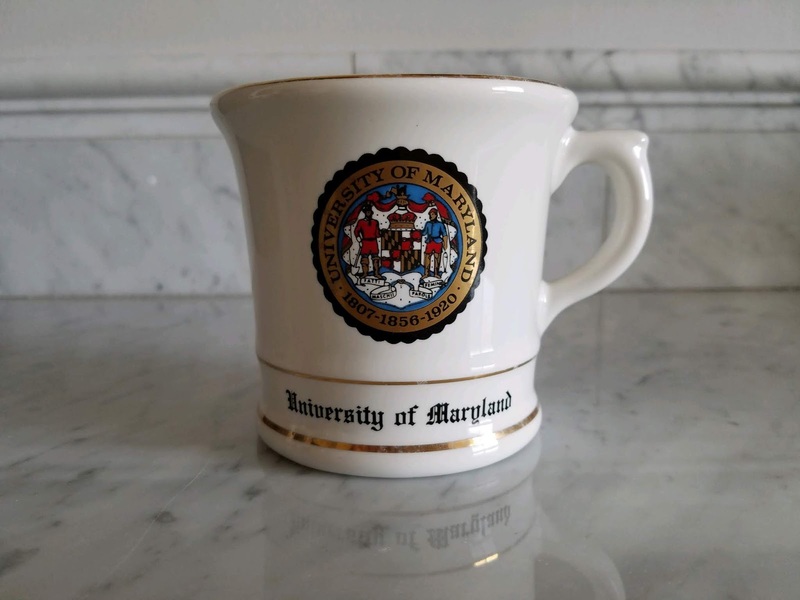 The University of Maryland: the Office of the President;1959 Corvette. 1976 to 1990. 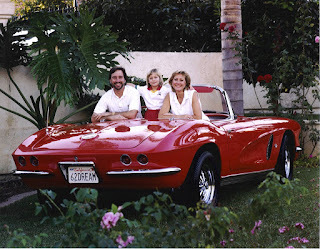 Moved to Los Angeles, worked at the University of Southern California, then was Co-Founder of Paciolan Systems in 1980; 1984 Corvette. 1990 to 2000. The Information Sciences Institute at USC; Bought and restored 1962 Corvette. 2000 to 2004. 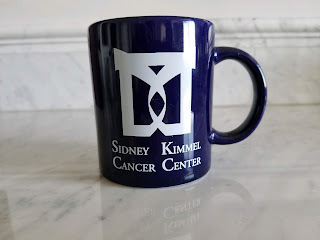 Sidney Kimmel Cancer Center; 2003 50th Anniversary Corvette. 2004 to 2008. 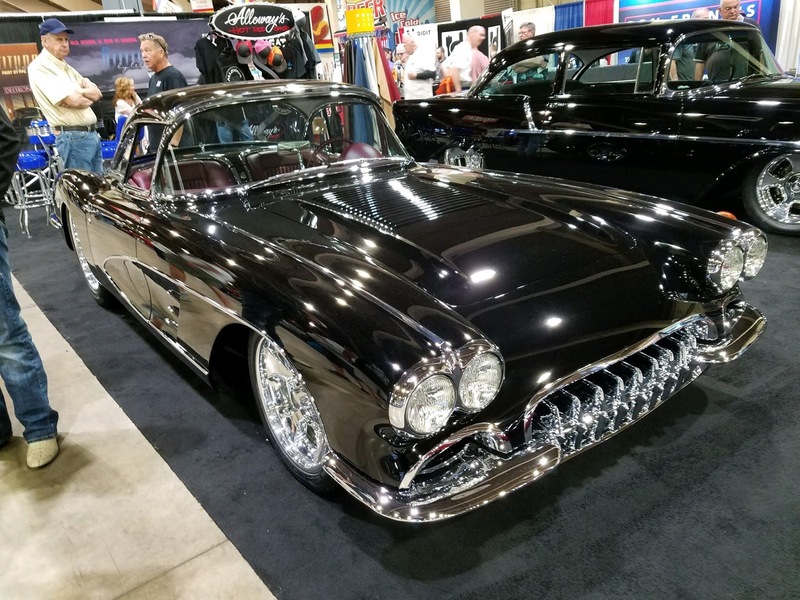 Keck Medical School of USC; Restored 1956 Corvette. 2008 to 2019. 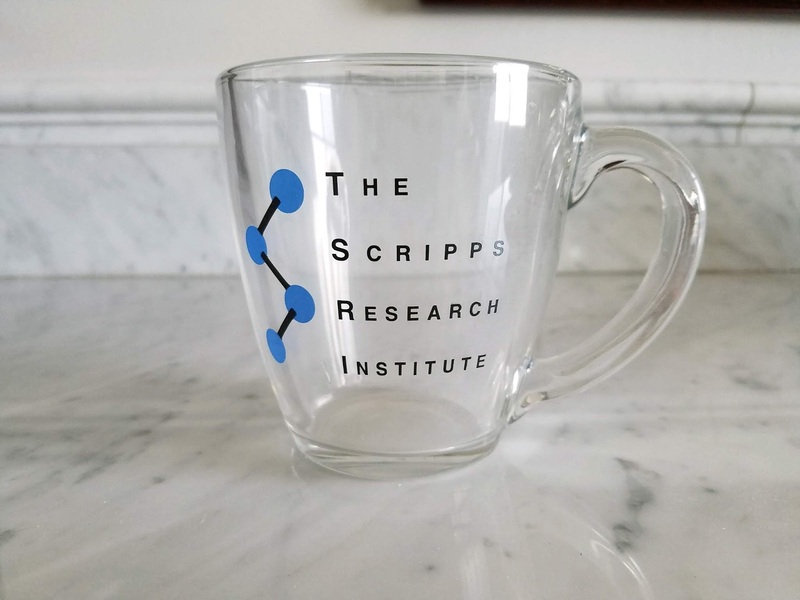 Scripps Research; 2018 Z06 Corvette. 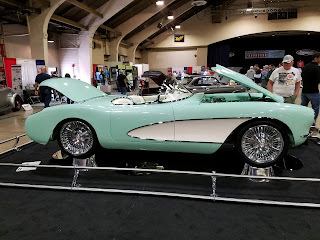 The Grand National Roadster Show (GNRS) is one of the most iconic car shows in America. For people who love the concept of a "Hot Rod", GNRS is Mecca. Originally the "Oakland Roadster Show", it was moved to Pomona, California in 2004, and has been held on the last weekend in January for 70 years making it the longest continually running indoor car show in the World! 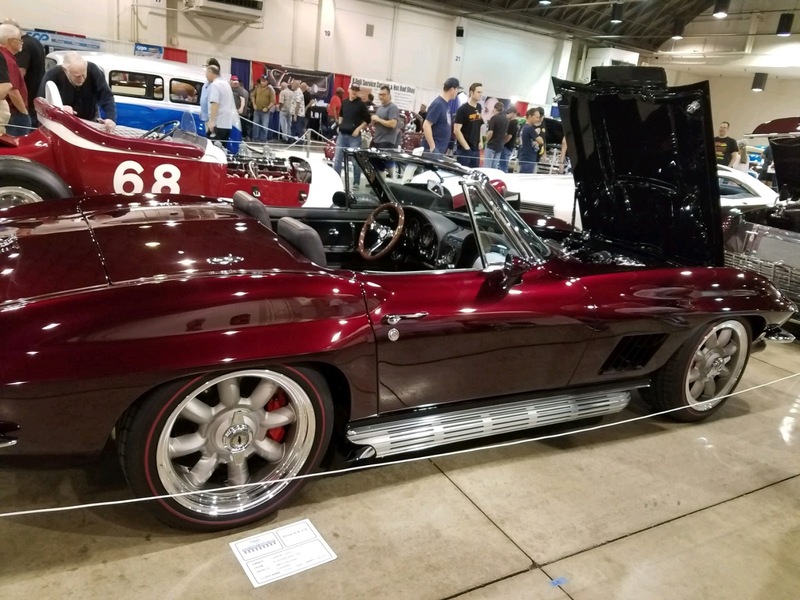 More than just an amazing car show, there is an intense competition to choose "America's Most Beautiful Roadster" or "AMBR". The coveted 10-foot tall AMBR trophy has been awarded to the car that is critically evaluated by a panel of judges. I was ignorant of this event until introduced to it by Bill Goodwin back in 2009. Back then Bill worked for a national technology firm from his local office in Maryland. Somehow Bill always needed to come to Southern California to visit with an important client, or go to some essential technology training, or he would invent some other excuse to be here in late January. After Bill joined the BSYAWYD fraternity, he began taking me to the GNRS shows regularly with him. Instantly I loved it! This tradition, started by Bill, and extended by Don Kingery and Dan Schrokosh (who went with me in 2011 and 2012), has now been solidified by Mike Reeves. 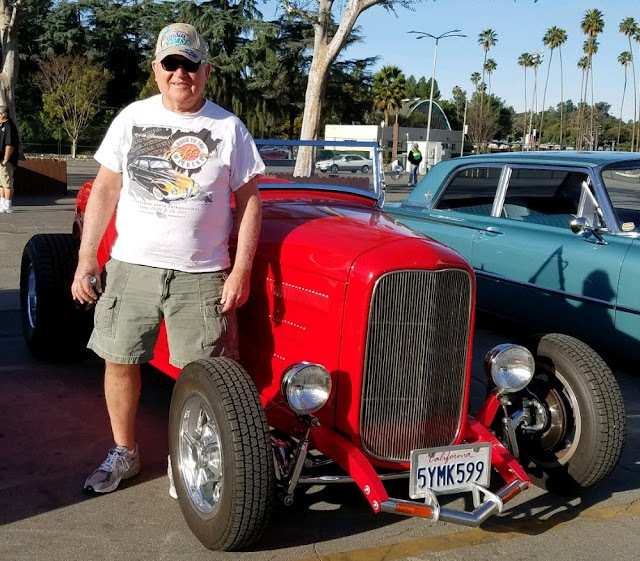 Mike now comes to the house at 5:30 AM on the last Saturday in January driving his meticulously constructed 1932 Ford Roadster and together we head off in the darkness for Pomona. We have been to GNRS in 2015, 2016, 2018, and again this year. Mike's car is looking and running as good as ever! Because Mike displays his car, along with about 800 other people, he gets preferred parking and we get to enter the event before others. The day is spent looking at all the cars in the outside display areas, admiring the cars that were "entered" into the show and are parked indoors (another 600 cars), visiting the vendors selling everything imaginable for Hot Rods, and, of course, "people watching"! But our top priority is seeing who can guess which car will win the AMBR award. This year there were 14 contenders. Mike and I chose different cars. My favorite was this 1934 Ford. Mike's favorite was George Poteet's 1936 Ford Roadster. As Mike looks at each entrant with his trained eye he explains the finesse that each builder has exercised in the artistic creation. He is able to see so many things that most people would never note; things like extending the doors or engine compartment, sculpting and shaping the fenders or body, incorporating rare or unique parts from other cars of the same vintage, and many other subtleties. 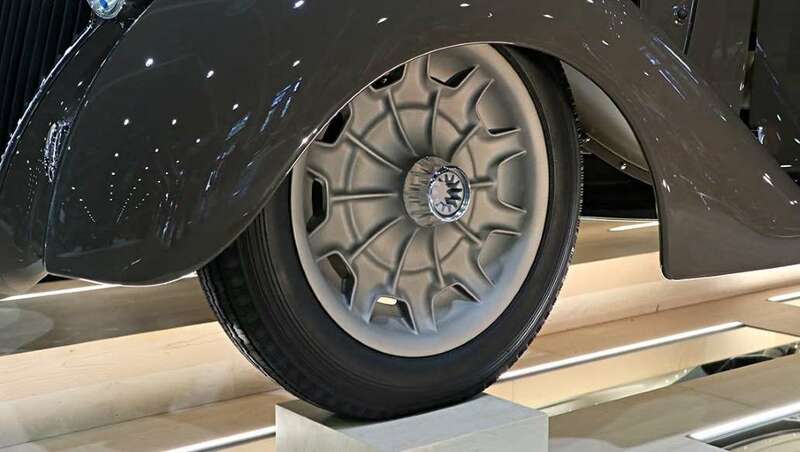 As Mike justified his reasons for choosing the 36 Ford, on more than one occasion he pointed out the one-off wheels! When we were finished looking at the AMBR contestants we visited all the other buildings. Each year I especially like seeing the Corvettes. Here is a sampling of my favorites! By 3:00 PM we were Car-Show-Exhausted and headed back to San Diego. It was another great day with a terrific friend. On Sunday night the AMBR Award winner was announced. In 2015 I had correctly guessed the winner. 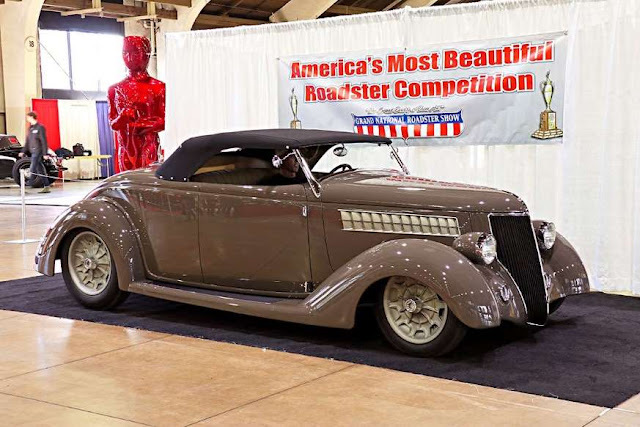 This year Mike's choice, the 1936 Ford, won! Thanks, Mike, for a great time! 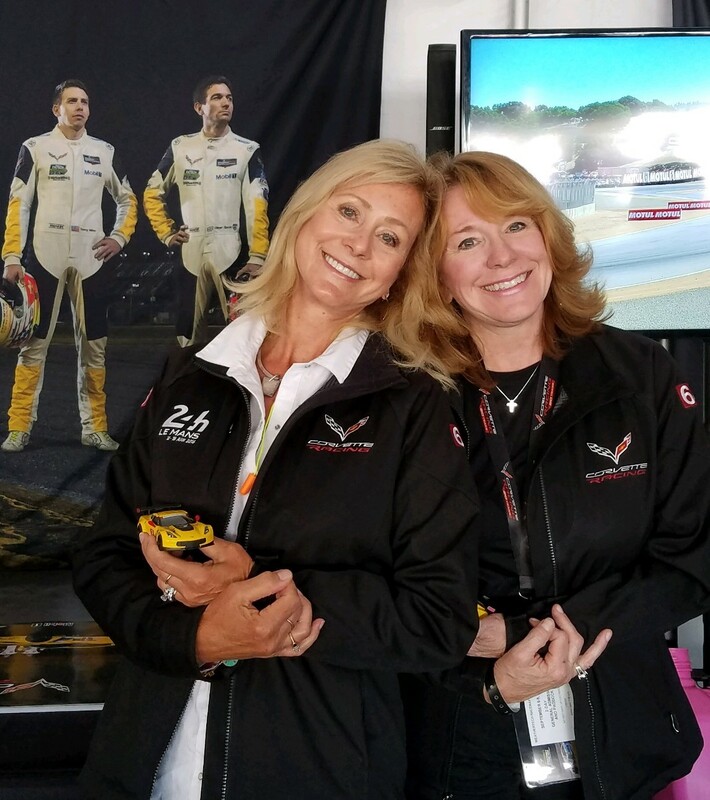 Before the new 2019 Corvette Racing IMSA season starts, I wanted to reflect on the past three seasons, focusing on the success of Corvette Racing. IMSA racing consists of Teams, Drivers, and Manufacturers. Each Manufacturer will field one or two cars (or more if they want), and each car is designated as a Team. Each Team has at least three drivers, two for most races, and an additional driver for the endurance races (the 24, 12, and 10 hour races). So, each year there are three "champions" in IMSA racing: Team, Driver and Manufacturer. In the 2016 IMSA season there were 11 events. A Corvette, either the #3 Team or the #4 Team, finished in 1st place 5 times, 2nd place 3 times, and 3rd place twice. 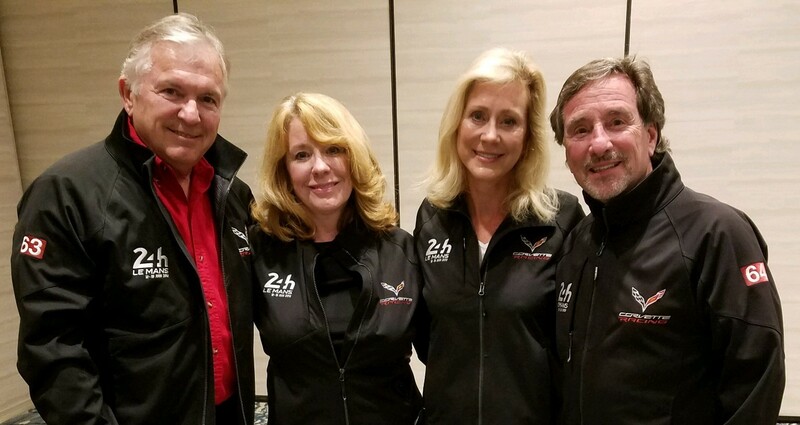 The #4 Corvette Team, with its drivers Oliver Gavin and Tommy Milner, won both the Team and Driver championships for the season with 345 points, followed by the #67 Ford-GT with 328 points, and in third place was the #3 Corvette with 319 points. The Manufacturers title went to Chevrolet, followed by Ford, Porsche, BMW,and Ferrari. It was a good year for Corvette, monopolizing the podium and sweeping the championships, especially given the preseason chatter about the return of Ford-GT to this form of racing. Here is a podium shot from 2016 showing the 1st, 2nd, and 3rd place Teams and Drivers (Photo courtesy of Charley Robertson). I love seeing all those Corvette Driver suits on the podium and the yellow C7R at the base! In 2017 the results were similar, but the competition was much closer. The season again consisted of 11 events. A Corvette Team finished in 1st place 4 times, 2nd place once, and 3rd place 3 times. This year it was the #3 Corvette Team's turn to shine to the delight of drivers Jan Magnussen and Antonio Garcia. They finished with 334 points, followed by the #25 BMW with 317 points, and the two Ford entries tied for 3rd place with 306 points each. The Ford Teams did not significantly improve, even though it was expected that they would have in their second season. The #4 Corvette Team had a really rough year finishing in 8th place. So 2017 was another "sweep" with Corvette Racing winning all three titles. This is a podium shot from 2017 showing Jan, Antonio, and their third driver, Mike Rockenfeller (Photo courtesy of Charley Robertson, again!). 2018 was a new year, with some big changes. 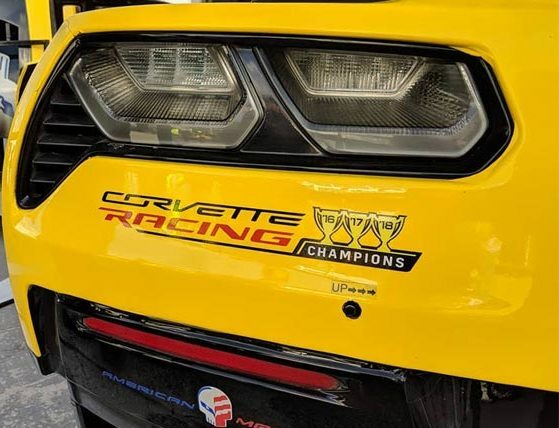 It was also Corvette Racing's 20th Year of competition, prompting a new logo. For 2018 BMW would be fielding a pair of new BMW M8 GTLM cars for the first time. The #24 Team would be led by John Edwards, paired with Jesse Krohn, who had a very good year in GTD for BMW. The #25 Team, who finished in 2nd place in 2017 would bring back Alexander Sims (three-time winner in 2017) and Bill Auberlen, and a new driver, Conner De Phillippi. The M8 is a front engine design with a transaxle (similar to the C7 Corvette configuration). In 2017 Porsche debuted a pair of new, factory-sponsored cars -- the mid-engined 911 RSR. In 2017 they won at Lime Rock for the first victory anywhere for the new model. Their teams are appropriately numbered #911 and #912. 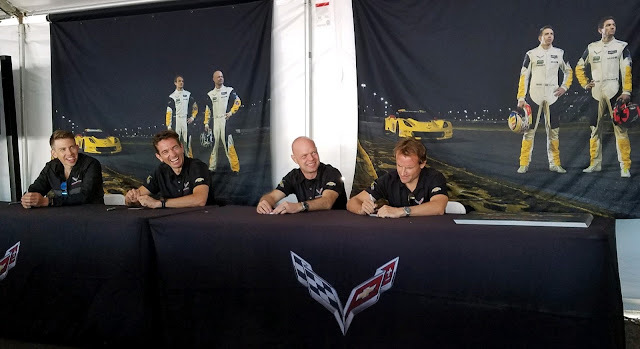 All their drivers were returning professionals experienced in GTLM and the new car. For 2018 Ford was returning its #66 and #67 Teams and all four drivers from 2017. The Ferrari entry, sponsored by Risi Competizioni, would be fielding the Ferrari 488 GTE, designated as the #62 Team. In 2017 they competed in only 7 of the 11 events. As it turned out in 2018, they competed in even fewer events and were not a factor in the championship competition. I personally feel this is very sad, as the Ferrari Team always added excitement to the GTLM program. Corvette Racing returned the same cars and drivers as the prior year, and was now racing with an older platform than all their competitors. The much-rumored mid-engine Corvette (if there *IS* one, right Tadge Juechter?) was no where to be seen at IMSA events in 2018. 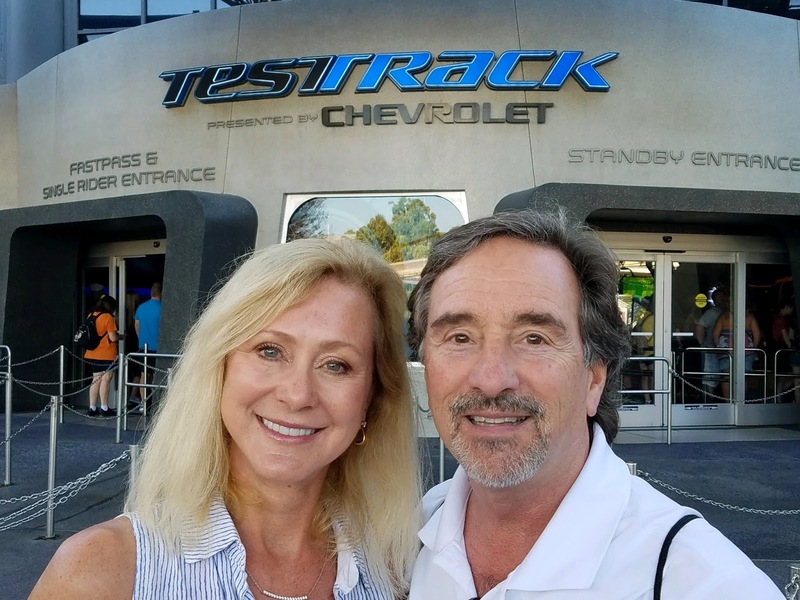 For 2018 Don, Shirley, Nan and I were able to attend three races: Sebring; Watkins Glen, and Laguna Seca. The year started out miserably at the first race, the 24 hours of Daytona, in which the Fords finished 1 - 2 completely out-running the rest of the field. Apparently they had received favorable balance of performance (BOP) adjustments based on the prior years' showing. Jan and Antonio managed to finish on the podium (3rd place) at Daytona, a small consolation. The second race, a 12 hour event at Sebring, which we attended, was even more depressing with the Corvettes finishing last (9th place) and 7th. The BOP was adjusted before the race to correct the obviously unbalanced Daytona experience. The adjustments worked for both Porsche and BMW who finished strong in 1st and 2nd places respectively, but not so well for Corvette Racing. At the Corvette Corral in Sebring, when we complained about the start of the 2018 season, an individual closely connected to Corvette Racing (the program manager), but who shall remain unnamed, confided a secret truth to all of us, "They aren't going to let us win this year. I'm sorry, but that's the way it is!" It turns out he was (mostly, but not completely) right! Races followed at Long Beach and Mid Ohio and by the time the IMSA teams arrived at Watkins Glen, the #67 Ford GT had a very solid lead of 121 points, 10 more than the two Corvettes, who were tied at 111 points each. We needed a small miracle at Watkins Glen, and in a sense we got one. Although one of the Ford-GTs finished in 1st place, it was the #66 Team. The #67 Ford-GT Team, that had led all competitors up to that point, finished in 6th place, effectively losing 10 points to both Corvettes. The #3 Corvette finished in 2nd place and was now only 4 points behind the leader. All season long I keep meticulous statistics on all the IMSA GTLM Teams. 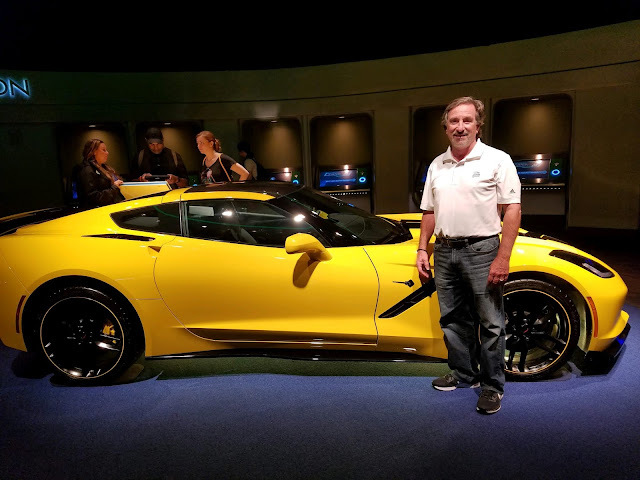 I remember going to an Italian restaurant the evening after the Watkins Glen event and seeing Doug Fehan, Corvette Racing Program Manager, sitting alone. He and I knowingly laughed when I said, "Doug, don't worry about finishing in 2nd place, the wrong Ford won!" He knew the significance of the day's result. Four more races ensued during the summer and by the time the IMSA program showed up at Laguna Seca in September it was clear that the championship was going to be between the #67 Ford-GT and the #3 Corvette. Jan and Antonio had finished 2nd at Canadian Mosport, 2nd at Lime Rock, 3rd at Road America, and 2nd at Virginia International to move from 4 points behind to 4 points ahead of the #67 Team (and everyone else). The #67 Team had been inconsistent with finishes of 1st, 6th, 1st, and 7th at those same tracks. However, at Lime Rock the #66 Team finished 1st place to make up for the poor showing of the #67 Team. For this reason, Ford held an insurmountable 12 point lead in Manufacturer standings over Chevrolet heading into Laguna Seca. But the Team and Driver championships were still up for grabs! Our depression at Sebring had turned to hope at Laguna Seca. With only two races to go, and a thin points lead, the guys in the yellow cars needed to do well. And they did. On Saturday they finished qualifying in 1st (the #4 Corvette with Oliver Gavin driving the fastest lap of the day in GTLM) and 3rd (the #3 Corvette driven by Jan Magnussen, only 0.122 MPH slower than Ollie) positions. Those results were way better than the races we attended earlier in the year at Sebring and Watkins Glen. We were happy. Sunday was race day. Chaos ensued from the very beginning with a big pile-up even before the first turn. The #67 Ford-GT got caught up in the carnage and had to be towed to the pits for repairs, which eliminated that Team from any significant points for this event. They ended up in 6th place with 25 points. Fortunately both Corvettes made it through the rubble unharmed. The Corvettes led for pretty much the entire caution-light plagued race, trading the 1st and 2nd place positions a few times. With just a few laps to go, Team Chevy decided to pit both Corvettes for a splash of fuel, expecting the other GTLM competitors to follow suit. The #25 BMW M8 and the #912 Porsche 911 RSR gambled that they could go the distance without refueling (which they did) and they finished 1- 2. But the Corvettes finished 3 - 4, extending the point lead for the #3 Corvette to nine with a single race to go in the season. We were bummed that they missed the chance for a Podium sweep, but happy with the results leading into the final event for 2018. The 2018 season finale, "Petit Le Mans" was run at Road Atlanta. "All" the #3 Team had to do to win the Team and Driver Championship was to finish not more than three places behind the #67 Ford-GT Team. Easy, right? Well, it seems nothing is ever "easy" in IMSA Racing. In what was an ultimate display of teamwork, the No. 3 team – who entered the race needing to finish fourth or better to clinch the championship – was forced to cheer on its sister car, the No. 4 Corvette C7.R of Oliver Gavin, Tommy Milner and Fassler, as it held off the No. 67 Ford GT in the final hour to secure a second consecutive championship for the No. 3. It was the 13th team championship and 12th driver title for Corvette Racing in its 20-year history. The championship-winning No. 3 team managed to win the championship without scoring a win, riding remarkable consistency that included eight podium finishes in 11 starts. That was the first time since 2005 a team had won a championship with(out) winning a race during the season. The runner-up effort for the No. 4 team, meanwhile, moved them up to third in the year-end standings. The graphic below demonstrates how the season went for each team. As described above, the Ford teams (blue lines) started well and throughout the season one or the other (see the alternating blue peaks) would finish first -- giving them the edge in the Manufacturer Championship. But the solid yellow line, the #3 Corvette Team, shows how they consistently finished near the top in almost all the races assuring them the Team and Driver Championships! What will happen in 2019? Time will tell. But this year the yellow cars will be sporting the "Three-Peat" logo on the rear bumper for the competition to see! Best of luck to Corvette Racing in 2019! 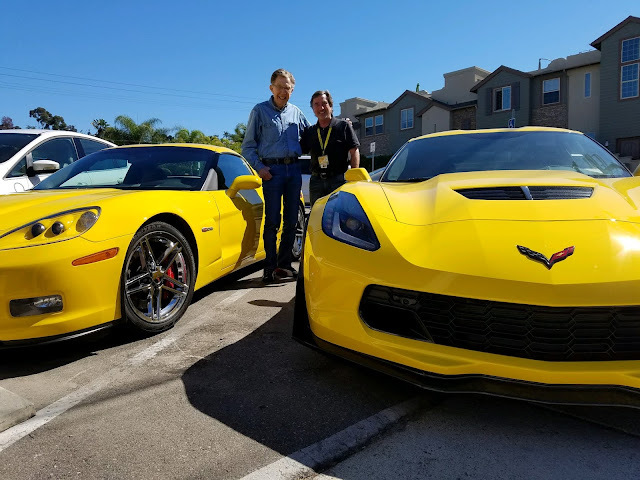 Soon after getting the Z06 in August it was time to make our annual pilgrimage to Monterrey, California to watch the Corvettes race in the IMSA GTLM class. In recent years we have flown to Northern California to rendezvous with Don and Shirley. Last year we drove the 2003 50th Anniversary Corvette up and back and had a great time. This year we decided to take the Z06 on its first road trip. We left early Friday morning for the 400 mile (one-way) trip. The Z06 had slightly more than 500 miles on it and was broken in with a fresh oil change. 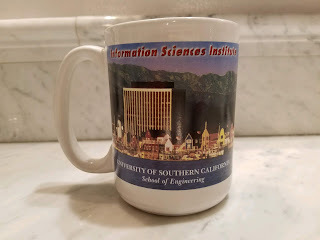 Last year we used I-5 to transit the San Joaquin Valley, but this time we wanted to drive up the Pacific Coast and visit some wineries, so we used Highway 101 through Santa Barbara, Santa Maria, San Luis Obispo, and Paso Robles. We had great weather all the way and encountered few traffic delays getting through the LA basin and up the coast. The roads through the Central Coast are perfect for driving a performance car. Now that the Z06 was officially broken in, I wanted to experience a bit of its performance. Passing cars on the remote parts of Highway 101 produced an odd sensation. When you "give it the juice" electronic sensors activate valves that bypass the mufflers - producing a satisfying roar out the rear of the car, and at the same time, you can hear the whine of the supercharger in the front. I love this car! 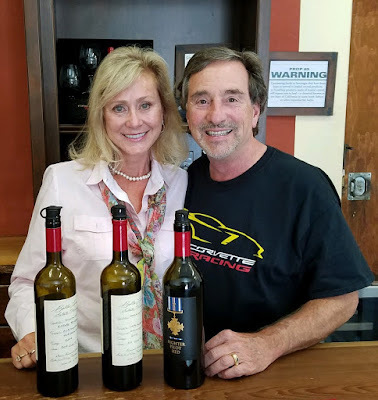 Don has a great pilot-buddy, Sherman Smoot, who is the owner of Bella Luna Winery in Templeton, California, just a few miles south of Paso Robles. We stopped in for a tasting and left with a few bottles of their signature wine,"Fighter Pilot Red"! A fresh tank of gas and we were back on the road for the final 120 miles to Monterrey arriving at the hotel for a rendezvous with Don and Shirley just in time for dinner. On Saturday morning we drove the now familiar route to the Laguna Seca track. We were preregistered for the Corvette Corral, reserved parking, and a goody bag of cool Corvette stuff. Just like last year, the Corvette parking area was filled with cars from every generation and people who had traveled from as far away as Seattle and South Carolina. This event was the tenth race in the eleven-race season. 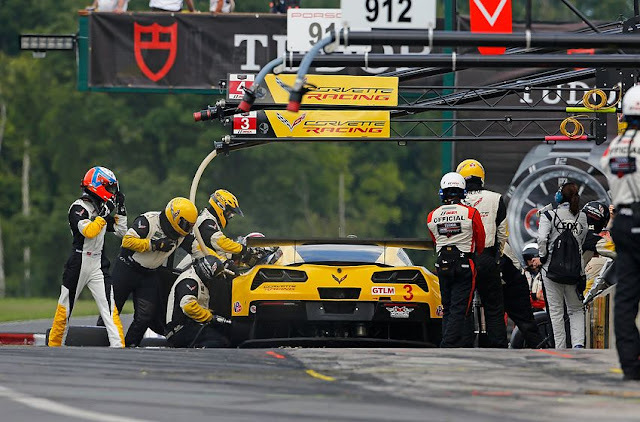 One of Corvette Racing's two teams, whose drivers are Jan Magnussen and Antonio Garcia, had the points lead through the first nine races with an accumulation of 269 points, despite the fact that they had yet to win a single race in 2018! The second place team was the #67 Fraud-GT (only 4 points behind), followed by the #66 Fraud-GT (with 260 points), and in 4th place was the #4 Corvette team driven by Tommy Milner and Oliver Gavin (252 points). For the entire season the GTLM class was basically a Chevy VS Fraud affair. With just two races to go, and a very slim lead, it would be important for both Corvettes to do well on Sunday. On Saturday the boys in the yellow cars fought really hard and finished qualifying in 1st (the #4 Corvette with Oliver Gavin driving the fastest lap of the day in GTLM) and 3rd (the #3 Corvette driven by Jan Magnussen, only 0.122 MPH slower than Ollie) positions. Those results were way better than the races we attended earlier in the year at Sebring and Watkins Glen. We were happy. After qualifying we returned to the Corvette Corral to hear presentations and a Q&A session with Doug Fehan and Tadge Juechter. 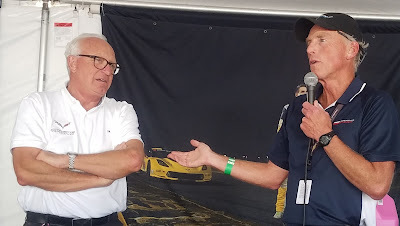 Tadge has figured out 100 ways to evade the question,"When is the mid-engine C8 Corvette going to be for sale?" 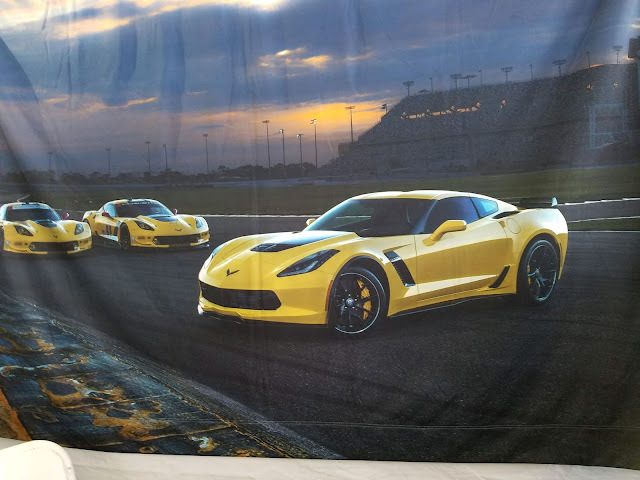 The highlight for most Corvette fans who attend the IMSA race events is when the drivers and Doug Fehan show up at the corral to autograph posters (and anything else that the fans can carry into the tent!) and answer questions about the race cars and the coming race day. This Saturday the drivers were all smiles (even Antonio). By late Saturday afternoon it was time to retreat to our hotel for some liquid refreshment and to get ready for the Annual Monterrey Corvette Banquet. 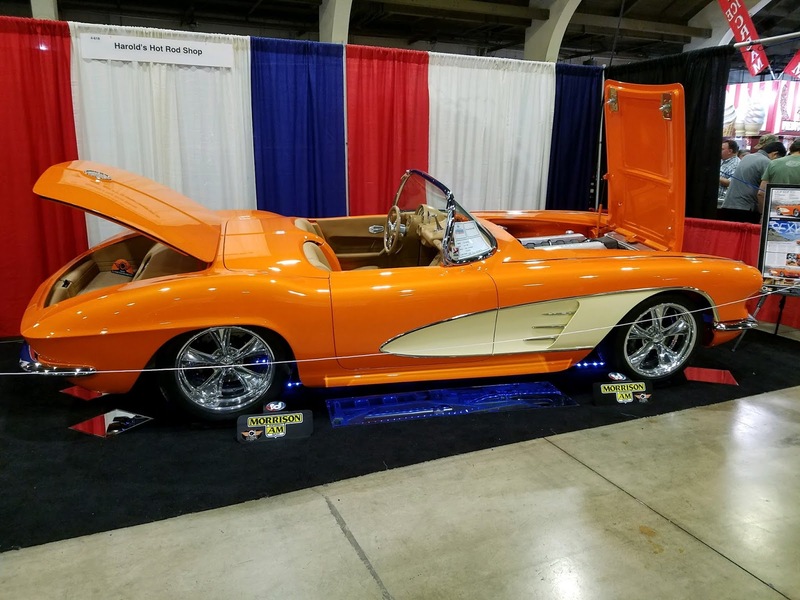 The 2018 edition was pretty much like the prior years: presentations by the National Corvette Museum promoting their events, a repeat appearance by Doug Fehan and the Corvette drivers, and a presentation by the GM execs telling us all about the manufacturing plant and the improvements they are making to the Corvette brand (all the while never confessing to the existence of an 8th generation of Corvette). We got to bed early on Saturday night so we could leave for the track early on Sunday morning. 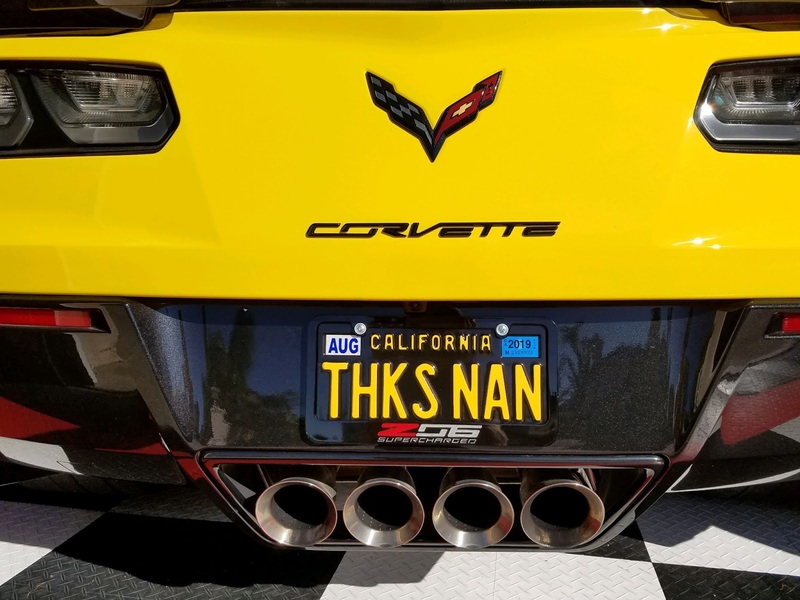 Nan and I wanted to arrive at the track early so that we could secure one of the 100 spots allocated Corvette owners to drive their cars on the track in parade lap formation (this event sells out every year!). 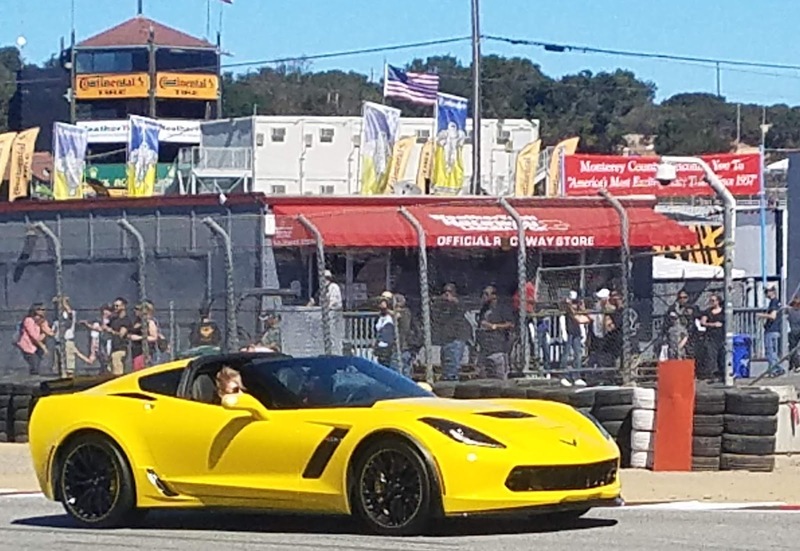 Last year we drove the 50th Anniversary Corvette on the track and enjoyed it. 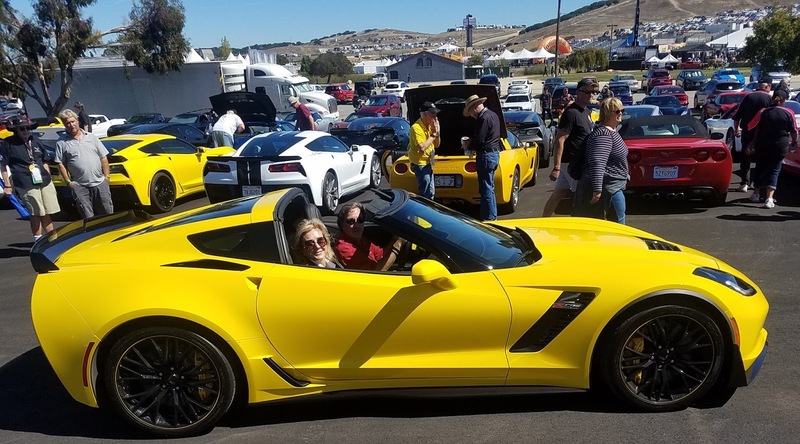 This year we wanted the experience in the Z06. Don got some shots of us on the track! Entering the corkscrew is still so scary -- I don't know how the drivers do it! This year we were joined by our dear friend, Bill Athas, who drove his new Acura NSX Supercar. Bill scored some awesome tickets in one of the vendor suites and invited me to join him. We had an amazing view ofthe start/finish line with the cars screaming by just underneath our seats. After the track was cleared of Corvette fans, the racing began. Chaos ensued from the very beginning with a big pile-up even before the first turn. Bill and I got a close-up view of the carnage. Fortunately both yellow cars made it through the rubble unharmed. The Corvettes led for pretty much the entire caution-light plagued race, trading the 1st and 2nd place positions a few times. By mid-race Bill and I had joined Don, Shirley, and Nan on the opposite side of the track at the corkscrew. With just a few laps to go, Team Chevy decided to pit both cars for a splash of fuel, expecting the other GTLM competitors to follow suit. The number 25 BMW M8 and the number 912 Porsche 911 RSR gambled that they could go the distance without refueling (which they did) and they finished 1- 2. But the Corvettes finished 3 - 4, extending the point lead for the #3 Corvette to nine with a single race to go in the season. We were bummed that they missed the chance for a Podium sweep, but happy with the results leading into the final event for 2018. It was a good Sunday at Laguna Seca, and a fitting birthday present for Don. 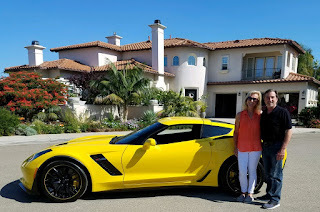 We closed out Sunday by driving our Supercars to Carmel, a walk around the beautiful town, and finally with a nice dinner with Bill at a small, yet elegant, restaurant. It was a great day! 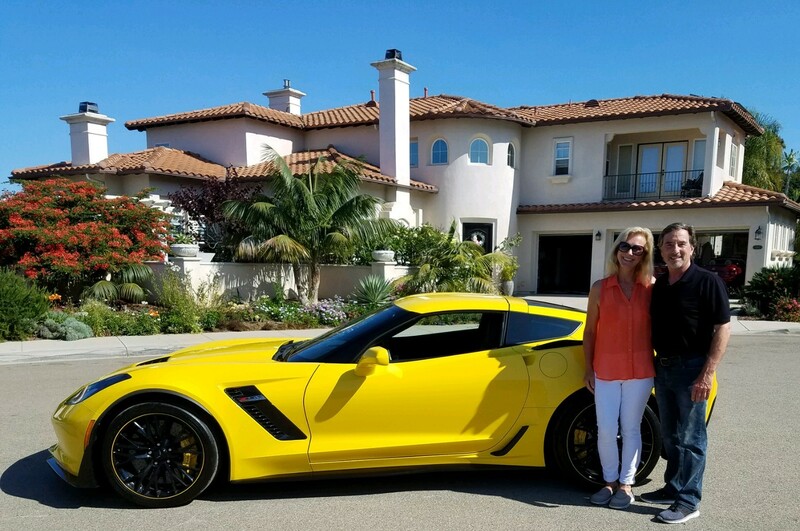 On Monday Don and Shirley flew back to San Diego while Nan and I drove the Z06 back down the California coast. For the return leg of the trip we visited the Kynsi Winery in San Luis Obispo. We have been fans of this brand back to the days when Nan worked with a relative of the owners at Breezecom. The visit was worth the wait -- the grounds were lovely and the wine tasty. We scored a few bottles of their best reds. I behaved myself all the way home, rewarding myself with an average MPG figure of 24+ miles per gallon, including the side trip to Kynsi. What a car! I did have one teeny complaint with our first road trip in the Z06, however. The inside rear view mirror has one red "SOS" indicator for an emergency, and next to it is a blue indicator to show when you are connected to the GM "OnStar" system. Sometimes, out of the corner of my eye, I would be deceived that a police cruiser was behind me with the red/blue flashing lights causing my heart rate to accelerate and the car to decelerate. This is one flaw that I can live with! The next road trip will probably be a visit to friends in Arizona and our first visit to Sedona. I can't wait. 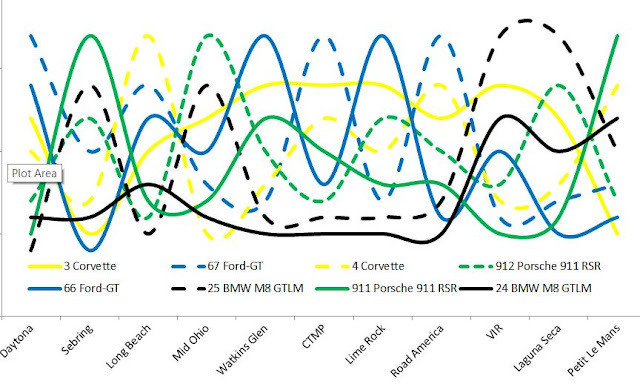 A few updates on the status of the Z06 Corvette. The new license plate finally arrived! By early September we had driven the car almost 500 miles and it was time to take the car to the Chevy dealer to have the break-in oil in the dry-sump system changed for 10 quarts of Mobil ESP Formula 0W-40 synthetic oil. Don Kingery had alerted me to a "secret": during the first 500 miles the computer "governs" the engine so that you can't drive it too aggressively and the red-line on the tach is kept back at 3,500 RPM. He told me to watch the instrument panel carefully as the car clicked over from 499 miles to 500. I decided to capture this event on a video! Look closely at the odometer (lower left) and the red-line to see the "limiter coming off!" Z06 Engine finally broken in! 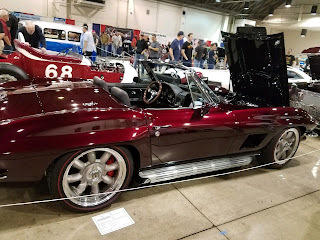 As soon as the oil was changed we headed for Monterrey, California to watch the Corvettes race at Laguna Seca (stay tuned for the next blog post), putting 800 miles on the car in four days. It ran perfectly. While there we saw this cool poster hanging in the Corvette Corral --I wish I could find one of these for my garage. 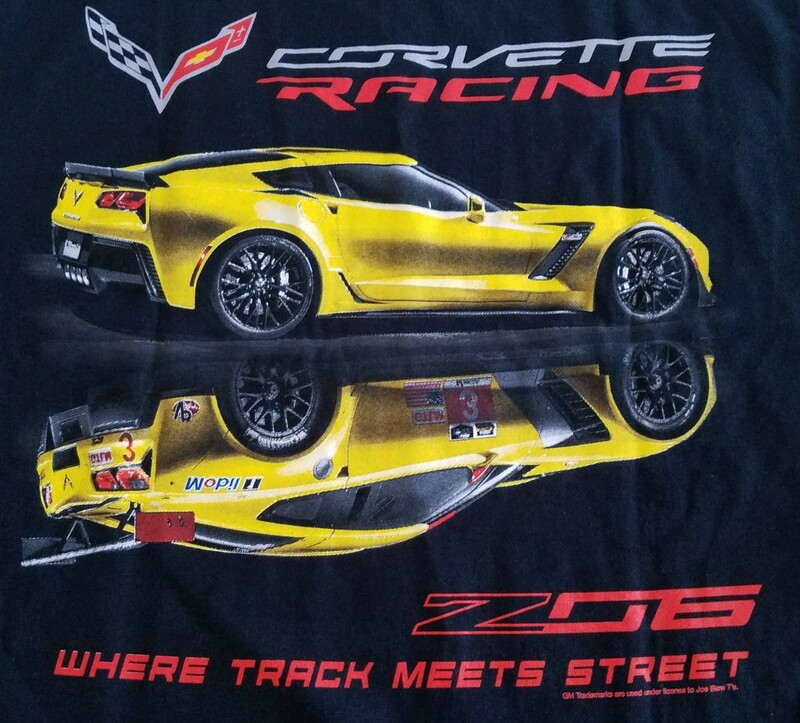 I love the imagery of the Z06 for the street contrasted to the C7R Racecars! While there, Nan bought me the model C7R Corvette, #3 (the car that eventually won the IMSA GTLM Championship in 2018 -- more on that in a future blog post, too!) 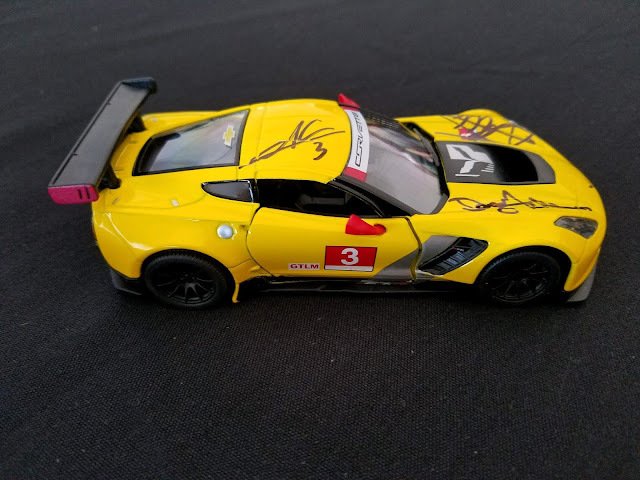 and had it autographed by Doug Fehan, Corvette Racing Program Director, and the drivers, Jan Magnussen and Antonio Garcia. In October we took a trip to the Society of Research Administrators conference in Orlando. While there we took an afternoon trip to Epcot and visited the Chevrolet Test Track ride, a roller coaster that simulates a race track experience. As we exited the ride, what do you suppose was on display as the "Ultimate Chevrolet"? I was inspired to visit the gift shop where I found the perfect T-shirt! Later that month I celebrated Bob Vollmar's Birthday with a trip to Harry's Diner in La Jolla. Bob drove his 2007 Z06 and we got a nice shot of the cars together. Remember, it's partly Bob's "fault" that I bought a Z06! Happy Holidays to everyone. Looking forward to more adventures in the Z06 in 2019! Copyright (C) Cary Thomas, 2012. Simple theme. Powered by Blogger.